As they say: we are what we eat, We believe that food creates both our body and our mind. We place importance on enhancing health while providing delicious creative food. Blue Plum provides warm intuitive service with tasty and healthy food without any chemical ingredients and authentic hand-made menu made from local ingredients. We call our dished Modern Fusion Food. Which is based on traditional Japanese cooking techniques that are focused on bringing out essence of ingredient. We are premier catering service that provides culinary expertise and personalized service for all your special occasions, from private meals, home parties, Birthdays to corporate functions, lunches to to cocktail receptions. 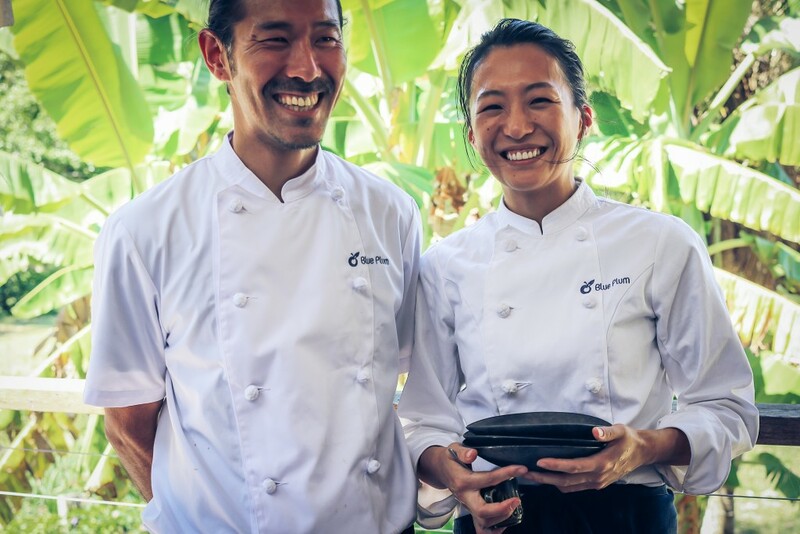 Blue Plum’s head chef Ryoji Akamatsu graduated from the Tsuji Culinary and gained Tsuji Culinary and gained his culinary experience at a variety of renowned restaurants in Japan. He has worked at leading restaurants in Thai and the UK. From 2010 he joined team at Wasabi in Noosa as Sushi chef. December 2015, he marks the launch of Blue plum.